Camps Bay Retreat and the Von Kamptz Restaurant are very excited to announce the arrival of our new Resident Chef, Mark Hendry. With his untameable creativity and flair for fabulous food, we can’t wait to welcome diners and guests to our restaurant to indulge in some of Mark’s wonderful creations. For those of you wondering who exactly Mark Hendry is, we’ve asked him to tell us a little more about his food journey thus far. South African born Mark Hendry started his culinary career in 2000, when he first started his studies at Silwood Kitchen in Rondebosch in Cape Town. After completing the full 3-year course, training in kitchens all over Cape Town like The Mount Nelson, as well as Constantia Uitsig and Blues on the infamous Camps Bay Sunset Strip, Mark finally did his final year at the prestigious Victoria & Alfred Hotel in Cape Town. Mark’s international culinary journey started in 2007, with a job at The Golf Village at Admirals Cove in Jupiter, Florida. Mark further extended his international portfolio and diverse culinary experience working in Tanzania, Ireland and throughout South Africa. Mark held the position of Executive Chef at the Arusha Hotel in Tanzania from 2013 to 2015, and Sous Chef at Mickey Finns in Ireland in 2016. 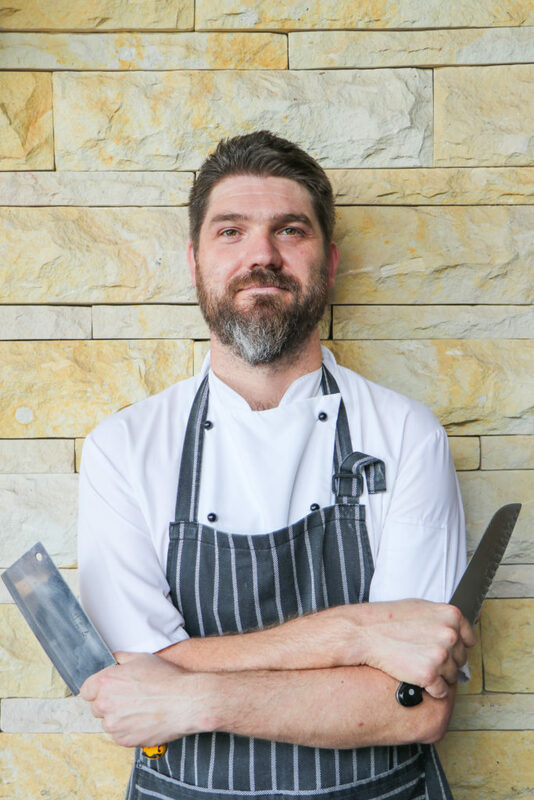 Following his return to South Africa in 2017, Mark took the position of Executive Sous at Pezula Hotel and in under a year he was named as the Executive Head Chef of Pezula Hotel. Mark is now staying within the Village n Life family and has joined as Resident Chef at the Von Kamptz Restaurant at Camps Bay Retreat. My philosophy is that you must have an unpretentious approach to cooking. [I like] being passionate and adopting a sustainable approach in my kitchens. Supporting local farmers and their produce is a huge thing, especially if we would like to keep the availability of beautiful produce possible. This also helps to create a platform of awareness for their great produce. I enjoy the challenge of simplicity in creating dishes while maintaining the texture and natural flavours of ingredients. The flavour of good produce doesn’t need to be changed. If you need to change the flavour of the produce then, the you’re using the wrong item. The best produce can give the best possible product… but only if treated with love, care and respect. My love of Italian food and Italian flavours certainly influences my approach to food, resulting in a diversity of dishes and menus. My ultimate goal is to maintain the integrity of ingredients, and complimenting them with other textures and flavours. As a young teen, I always had a passion for food and combining flavours to create something extraordinary. Learning the basics of baking and cooking from my mom – who is a very good home cook – my culinary passion started and the hunger for good food started. When I was in grade 10 (standard 8 for us old school people!) I did an introduction to Italian cooking course with a local Italian lady in Knysna, where I learnt the basics of making pasta and how simple yet beautiful food can be, by using the best produce and love for the food. I then went on to study food at Silwood Kitchens in Cape Town, and learnt about different styles of food and all that can be created with the right knowledge and creativity. My first job after college was the opening of 95 Keerom – an upmarket Italian restaurant where I was working in the kitchen as a CDP. I found that Italian food is inspiring, just by how simple the dishes were, but packed full of flavour as the ingredients in Italian food must always be the freshest and best quality. From 95 Keerom, I moved on to work at the Plettenberg Hotel where I started combining the art of simply made food with beautiful plating. This is where I learnt that the eye eats more than the stomach. The use of the local produce and seafood was very important to me and my Executive Chef. From the Plettenberg Hotel, I found myself needing to travel as I wanted to experience international food and broaden my knowledge of food and decided to travel to America to work at one of the biggest country clubs in Florida; Admirals Cove. Here, I learnt about banqueting. From there I returned to South Africa and worked in upmarket restaurants in and around Cape Town. Most of my time I was in Camps Bay working for the Kove Collection. From Cape Town, I travelled in to Africa to Tanzania and took up the position of Executive Chef of the Arusha Hotel in Arusha Town. This was one of my hardest challenges to date, as I didn’t speak the eSwahili and they spoke very limited English. Within the first 6 months I relaunched the restaurant and opened up a brasserie in the foyer of the hotel. In the 2 years I was there, I trained one of the scullers to become the hotel’s master baker, making the hotel known in Arusha for its breads. I returned home to South Africa and did some consulting to small hotel and catering companies in Cape Town, helping them to improve systems, running of the kitchen and food quality. After my parents decided to immigrate to Ireland, I found a job at a small gastropub in a small village in Ireland called Mickey Finn’s. A gastropub that was joined to a craft beer distillery (that was very trendy!) where I learnt to cook upmarket Irish food using the craft beer in the food. After returning back to South Africa from Ireland I took up the position of executive Sous Chef at Pezula Hotel and now I am ready for my position as Resident Chef at Camps Bay Retreat.